The author of Sharp: The Women Who Made an Art of Having an Opinion on illusions about the lives of working writers, trends in criticism, and how writers make money. In Sharp: The Women Who Made an Art of Having an Opinion (Grove Press), Michelle Dean unearths archival material that connects the lives of ten female critics who shaped the literary landscape in the twentieth century. The subjects are brilliant women who were admired and reviled, often at the same time. They wrote award-winning screenplays, ground-breaking political treatises, and fiery essays, as well as incisive reportage and works of cultural criticism. From Dorothy Parker and Rebecca West to Nora Ephron and Renata Adler, this historical account of their work is anchored to what Dean calls “sharpness”—a quality that short-sided, misogynistic critics often characterize in patronizing terms. Amusing marginalia, letters of correspondence, and biographical information coalesce to reveal elements of their intimate relationships, writing practices, and deep-seated preoccupations. Sharp is peppered with excerpts from now-shuttered publications like The Partisan Review, Life Magazine, and Ms. Magazine—providing a compelling if fragmentary account of the field of journalism. In profiles that braid together personal and professional histories, Dean reinforces the notion that a feminist message can be drawn from divergent, even opposing, threads, and that hostility to feminism has always been baked into the movement itself. We talked about plumbing Susan Sontag’s archive, racial segregation that is endemic to American media, and a certain Hannah Arendt gif that’s been circulating on Twitter. Anna Furman: I read your book completely out of order—as if it was a book of essays or short stories. I started at the Susan Sontag chapter and then worked backwards to the Dorothy Parker section. How did you envision your reader approaching this book? Michelle Dean: It is actually chronologically told. In my original conception of the book, I was going to be very strict in chronology and keep switching from one woman to the next. But when I started to draft it, it was too confusing and difficult to read. So we changed it to the sort of self-profile format that it is structured in now. Sharp is quite research-heavy. How did you approach archival material? Did you find any gems that were outside the scope of the book? I spent roughly three years on the research alone. Then, it took about two years to write and edit. The book is weighted towards the beginning of careers as opposed to the end, and it cuts off by the ’90s, so I’m mostly looking at things on paper. By the time people are using email a lot, I’m no longer in there. I did very peripatetic research in that I wouldn’t call any of this a full biography. I’d go into an archive and look at everything they had ever written to women—especially women in the book, obviously, and then subsets of other women writers and critics in their orbit. One of my favorite things to discover was a voluminous folder of correspondence in the Sontag archive with Larry McMurtry. It didn’t make it into the book, but in the first letter, he sends her a key to his apartment. People have connections that you wouldn’t dream of. In Sontag’s case, I also found a letter from Philip Roth that I liked. I was researching in a totally thematic way, so it wasn’t nearly as interesting of an archive journey as it could’ve been. You include some surprising details that add color to the reader’s understanding of these women’s lives (while reading Hannah Arendt, Susan Sontag wrote “ha!” in the margins). In working on this book, did you find any interesting annotations in your own, original copies of their books? Well, I’m a weirdo that doesn’t actually annotate books. I was brought up to be too good of a girl, as if that would be desecrating them. I do handwritten notes. As I conceived of this project, I read more and more of these women’s work, but in general they were not authors that I encountered when I was a young literature student in university. I went to Canadian university and Canadian literary education is very focused on Hamlet. I didn’t read some of these women in depth until I got into the project. 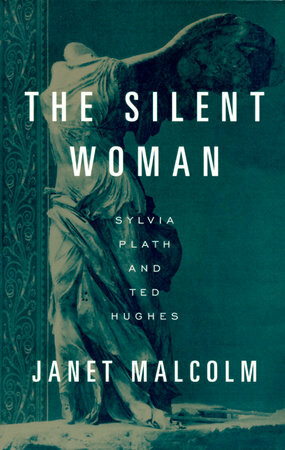 Certainly, my copy of Janet Malcolm’s The Silent Woman: Sylvia Plath and Ted Hughes is a book that I’ve had for years. 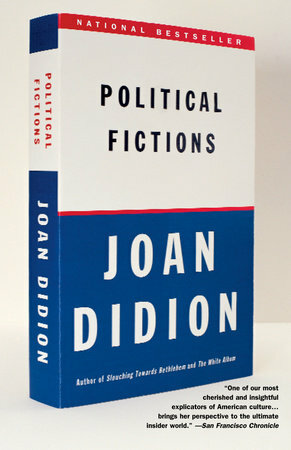 I’m pretty sure that I ran into Dorothy Parker a lot in my youth, and I did a lot of work on Hannah Arendt when I was in school, but the first book that felt like a prized book to me was Joan Didion’s Political Fictions. When I was a lawyer, I read it over and over again. It was my introduction to Didion. I came to her from a much different frame than most people do, which is usually the personal essays, starting with Slouching Towards Bethlehem. I don’t even think I read The Year of Magical Thinking before I read Political Fictions. One of the funny things about doing a book as insanely researched as this one—’cause I really lost myself in the research for several years—is that now that I’m on the other end and I’m like, I really left all that stuff in, huh? I think a lot of working writers will appreciate reading about the financial lives of these women—especially learning about projects that made them little or no money and the impact it had on their lives (Pauline Kael wrote criticism for Berkeley’s Cinema Guild flyers for no money, and then sued her ex-husband for back wages and profits). And then, conversely, how someone like Nora Ephron’s career changed forever when Heartburn became a bestseller, and then again, when she wrote the screenplay for the film version. How important was it to you to include their financial lives? When you read Sharp, it is not a personal book and it is not a memoir. But a lot of the things that were preoccupying me at the time made their way into the book. And like any writer in this era, I’m preoccupied with how to make money. Those details screamed out at me. We don’t talk a lot about how a writer finances work. We assume they just work it out or that they’re super rich, if they’re super famous. In the writing context, that wasn’t actually true. For years I’ve been interested in how a lot of people who wrote reported non-fiction have sustained these years-long projects. So, as I was doing the research, those things occurred to me. Even Dorothy Parker, who was writing literally anywhere she wanted at any point she wanted, was eventually like: you know what, I’m not making enough money and I have to just do this Hollywood contract. I don’t really like it out there but I have to keep working out there because I cannot not make money. Another illusion we have about the lives of working writers is that they’re only working on passion projects and that everything they put forward is speaking from their soul. You can tell that some of their writing was not their most driving passion. A lot of the rhetoric about being a writer in the age of blogs and the pace of it insists that this is new. The amount of output is not so distant from what I can see going on in the lives of these writers. They weren’t writing one poem a month or one book review a month. Rebecca West was writing twice a week in a newspaper, which is a huge amount of output to be generating. They didn’t have email to loosen up the gears a little bit. I became interested in the money aspect because I don’t think we talk enough about how these concrete factors have influenced the writing itself. In general, I’m not under the impression that the men were any better paid. Maybe somewhat, but certainly not enough. In the aggregate, of course, they made more money. It wasn’t easy for anybody to make a living as a writer at any point in the twentieth century. The women you write about were reporters, journalists, screenwriters, and critics—and some of their renowned works were written in the first-person. I’m curious if you considered writing part of this book in the the first person, or perhaps including yourself in the book? There’s this idea that the only way to enact personal connection to a subject is to use the first person, and I don’t think that’s true. Or at least, I reject that the first person is the only way to do it. It seems like it’d be pretty self-aggrandizing for me to write in the first person and place myself in the pantheon of these women. 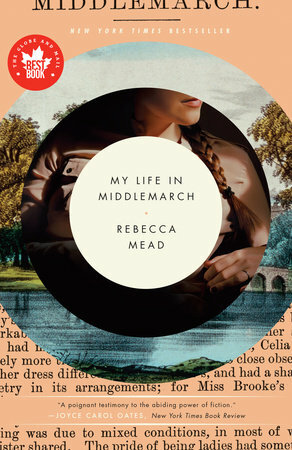 Sharp is not what they call a biblio-memoir, like My Life in Middlemarch, Rebecca Mead’s book about how George Eliot changed her life, or Olivia Laing’s work. I’m tripping over your question because I don’t want to sound like I’m insulting the new genre of writing about literature in a personal way or writing in the first person. Even though there’s definitely a lot of concordances with my opinion in the book, it didn’t make a lot of sense for me to include myself. When my friend read an early part of the Dorothy Parker chapter, he said, “It’s so funny, I’ve heard you say this about your own life.” Craig Seligman, who wrote a book on Sontag and Kael, actually, wrote that all criticism is covert autobiography. To me, it was more interesting to enact that, without using the first person, than it would’ve been if I just talked about my boring blog experiences of terrible trolls. Or sexism in the industry. Which, you know, I’ve got plenty of. The idea was to stick to the time period and carefully de-limit the subject that way. The book spans almost an entire century and I already have to get my arms around the lives and work of ten people. Adding in an eleventh just felt like unnecessary, added bulk. I was struck by this line: “There is room, in this deep ambivalence about and even hostility toward feminism, to take away a feminist message.” Can you elaborate on this point? What I mean by feminism is something more specific than the philosophy. It’s the movement itself, which is more about a group of people who behave in certain ways than it is about ideals. I think the hostility that a lot of these women had was toward the group dynamics. In general, they were not team players or people that fit in well with others—writers often aren’t. And that inflected their dislike of something which made a demand on them as a member of a group. I saw a Hannah Arendt-themed gif going around Twitter recently and I feel like her ghost is totally gonna kill me as I talk about this book. In the gif, she’s on some German show and she’s asked, “How do you hope to influence people?” She says, “That’s a very male question, because I’m not looking to influence, I’m looking to understand.” So she did see that there was a gendered component to knowledge-making. And I think everybody in my book did know that. It feels sometimes like these demands for solidarity are their own kind of leash, and dare I say even, patriarchal leash. It’s about a former version of femininity where we thought that women would be sisters and friends and, as the metaphor goes, braid each other’s hair. We’re all individuals and are not always going to agree. Which is not to stay that feminism can therefore embrace the likes of Phyllis Schlafly. It is possible, although not currently in vogue, to look at the fissures in feminism as essential, energy-generating parts of the moment rather than as flaws or political failures. A feminist message can be drawn if we embrace a larger definition of feminism than was this particular woman nice to other women? or did this particular woman express agreement with other women? Except for Hannah Arendt, even McCarthy and Didion did walk it back later. Even though they may have been hostile to certain aspects of the moment, ultimately it was useful to be part of something that tried to assert women’s humanity. It was useful to their work, which is why it’s a theme in the book. There’s a lot of now-shuttered outlets that you include criticism from, like The Partisan Review and the Saturday Evening Post. Which new media outlets are publishing really excellent criticism now? It’s tough. I find myself thinking a lot lately about The Awl closing. The Awl had a lot of resemblances to the early Vanity Fair. [Awl co-founder] Choire [Sicha] will kill me if he sees this, but when I read about Frank Crowninshield [Vanity Fair editor from 1914-1936], I was like, this is Choire. Although Choire didn’t come from a Boston Brahmin family. And Choire was a good writer in his own right, which is not true of Crowninshield. He has an eye for people who have interesting taste and who aren’t going to say the same thing that everybody else says. We don’t have a great venue for that at the moment. We could talk about the collapse of economics. I know that a lot of people in this vein would say that n+1 is the heir to the Partisan Review, but I think n+1 is its own phenomenon. I’m not sure The Partisan Review had the same vision of gaining currency with publishing people as I think is true of the founding of n+1. I read individual things now and again on Hazlitt that I find interesting. I read the Boston Review, actually, and think they are making an interjection into the conversation and not just rehearsing talking points I’ve heard a hundred times before. I love the London Review of Books, too, which I think has a similar vision for itself as a critical instrument—of saying things not in the usual way that everybody says them. My taste is obviously a bit more plebeian than the London Review of Books, though. In other publications, it seems like most of what I read is either a little bit too academically worded, which is where The New Inquiry fell for a long time. Or, it’s just think piece-ing, which to me, is different from criticism. And please understand that I say that as somebody who has written a lot of think pieces in her day. I just think of it as a separate craft. If you were to extend the book to include very recent criticism—say, the last decade—which women would you include? Obviously, Parul Sehgal at the Times. I always read Zoe Heller in the New York Review of Books and Zadie Smith, although hers are usually more personal reflections than outright criticism. I’m also a pretty big fan of Maggie Nelson. Most of these writers are not writing in a Sharp vein, except probably Zoe Heller—she uses similar rhetorical strategies. Weirdly, sharpness is really not in vogue now. People like personally inflected criticism at the moment. Sharp is trying to contextualize a specific tone, as something used to cut through a certain amount of sexism. And sexism that is not just in the business, but in the audience too. I know that there are a lot of people that would like to be called the next Janet Malcolm, for sure. I just don’t know who they are. I think her style of writing is devalued in the major magazines. Critical focus is not currently the popular thing to do in magazines, as critical reporting. What’s popular is to do first-person tour of a subject, which is criticism to some people, but isn’t always equipped with the same thing. For example, readers know a lot, personally, about a writer like Leslie Jamison, whereas after many years of reading Janet Malcolm you still would not know a lot about her personal life. You’d have a good idea about her personality on the page, but it really is distinct from who she is. Renata Adler and Pauline Kael’s kind of writing has gone out of style. They emphasized the pleasures of analysis over the pleasures of building a persona. And those are pleasures, I’m not denigrating it, but they’re different ones. The pleasures of analysis are not quite as popular in literary circles as they once were. The one thing I learned from researching this book, though, is that everything is cyclical. Were there other words you considered before you arrived at “sharp” as the unifying quality? No. I came up with the title Sharp in 2013, when I held a panel at Housing Works books and called it that and it clicked. The panel was about representation of women in criticism. It was back in the heyday of VIDA and byline counts, which now feels like a million years ago. At the time it was me and a bunch of women critics: Laura Miller, Emily Franklin, Parul Sehgal, and Michelle Orange. After that, I thought of this book as Sharp, no matter what. And I sold the book a few months later. Except for a chapter on Zora Neale Hurston and a mention of Ida B. Wells, all of the women you write about in Sharp are white. How did you think through race in your research and writing of this book? The trick about the literary and intellectual history in the United States is that it has been segregated. Black writers wrote for black publications and white writers wrote for white publications. As I write in the book, this didn’t stop the white publications from trying to cover racism or de-segregation, which they did, often with disastrous results. I explore this in the chapter on Hannah Arendt and desegregation. The book is predicated on the idea that not only do these women sort of sound alike, but they also had concrete personal connections. Renata Adler was engaged to Mary McCarthy’s son; Nora Ephron met Dorothy Parker as a child. The problem with social segregation, and, frankly, intellectual segregation, is that I couldn’t make those connections exist where they didn’t exist. You know, racism poisons everything. The Zora Neale Hurston chapter is, in a way, the product of my thinking about who should’ve been elevated in the same way as these women, as exceptional women, but ultimately were not. Another person who could have been included, if we didn’t have this personal connections problem, is Lorraine Hansberry. She started out as a playwright, which is a bit different than the rest of the women in the book, and she died at thirty-four, so she doesn’t have a huge body of work. The book is not meant to be a completely comprehensive account, but about a specific group of women critics who were elevated as exceptional and therefore had certain privileges. As I write in the beginning of the book, they were able to say certain things because of a certain degree of white privilege, and to an extent, middle class privilege. Much as sexism inflected this rhetorical strategy, they needed to use their privilege to challenge it. It is Monday, and Gary Wilensky is getting himself a gun.